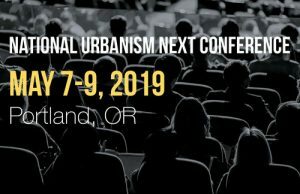 The 2nd National Urbanism Next Conference will be held May 7-9, 2019 in Portland, OR. The first annual conference held in March 2018 brought together over 500 planners, architects, landscape architects, developers, technology experts, elected officials, academics, and many others. We’re excited to partner with the National and Oregon Chapters of the American Planning Association, the American Institute of Architects, and the American Society of Landscape Architects, and the Urban Land Institute Northwest. Last year, we discussed how technology is changing cities. This year, we will focus on the ways that technological innovations can be harnessed to achieve desired outcomes. What has been tried? What has worked? What has not worked? What should we try next? How can the private and public sectors collaborate to ensure that desired outcomes drive technological innovation rather than the other way around?